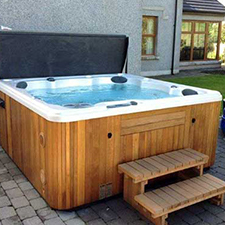 Your hot tub is an investment. We want to help you get the most out of it. 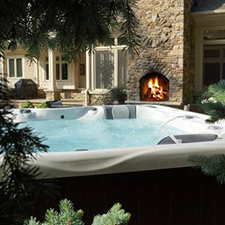 Regular, expert cleanings will keep it going for years past neglected units, so read on to learn more about what is included in our world-class hot tub service! We want to spot issues before they can become major. We’ll inspect seals, tubing, pumps, and more to make sure everything looks good. If repairs are necessary, you decide how we move forward. There’s no need to waste a lot of money trying to manage your spa’s pH levels when our experienced team can tweak it and keep in on track. We want your spa to have a clean baseline — this helps it stay functional longer. We’ll clean the floors around your spa and make sure its cover is clean and protected from UV rays. You’ll love having a neat, relaxing environment and a cover that lasts a lot longer than your neighbor’s! Thanks to our experience with water chemistry tests, we’ll know when it’s time to reset your spa to keep it running at its best. Your spa’s filters play an incredibly important role in its functional lifespan, so let us clean them regularly and replace them when they’ve done their job.